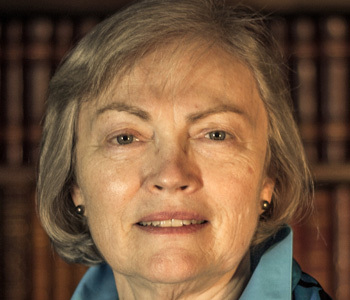 Katherine Verdery is the Julien J. Studley Distinguished Professor of Anthropology at the Graduate Center, City University of New York; previously, she taught at Johns Hopkins University (1977-1997) and the University of Michigan (1998-2005). Since 1973 she has conducted anthropological research in Romania on ethnic and national identity, cultural politics, the socialist system, postsocialist transition, the state, property transformation, and the secret police. Her books include: Transylvanian Villagers: Three Centuries of Political, Economic, and Ethnic Change (1983), National Ideology Under Socialism: Identity and Cultural Politics in Ceau?escu’s Romania (1991), What Was Socialism, and What Comes Next? (1996), The Political Lives of Dead Bodies (1999), The Vanishing Hectare: Property and Value in Postsocialist Transylvania (2003), Peasants under Siege: The Collectivization of Romanian Agriculture, 1949-1962 (2011, with Gail Kligman), Secrets and Truths: Ethnography in the Archives of Romania’s Secret Police (2014), and most recently, My Life as a Spy: Investigations in a Secret Police File (2018). Among her professional activities, she has served as Director of the Center for Russian and East European Studies (University of Michigan) and member of the Boards of Directors of the American Anthropological Association, American Ethnological Society, and American Association for the Advancement of Slavic Studies (AAASS, now Association for Slavic, East European, and Eurasian Studies). She was the first anthropologist to serve as president of the AAASS, in 2004-06.